When it comes to driving sales for Fayetteville business owners, what is the most potent element of an advertising campaign? 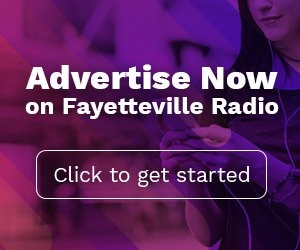 According to the eBook, Seven Steps For Success: Advertising on Fayetteville Radio, the creative content of an ad is responsible for 47% of its ultimate success. When it comes to the creative content of a commercial, Fayetteville small business owners have 2 choices. The first option is to create a commercial that comprises a laundry list of features and facts about their products or service (e.g., store hours, address, phone, website, numbers of year in business, etc.). This is called the rationale approach and appeals to the consumer's intellect. The second choice, however, can be more successful: appeal to the consumer's heart. A recent study by two of the most respected experts in advertising effectiveness, Les Binet, Head of Effectiveness at adam&eveDDB, and Peter Field, Marketing Consultant, indicates that the most successful advertising uses emotions not logic. These commercials swap stories for fact. They tell stories aimed at the heart, not the brain. Pierre Bouvard, Chief Insights Officer at Westwood One, highlighted the key findings of this study. "The Binet and Fields analysis found that emotional campaigns build brands more strongly [than rational campaigns] regardless of the measure: awareness, commitment, trust, differentiation, fame, or image," says Mr. Bouvard. "Emotional campaigns are far more powerful at building brands. They create emotional bonds and associations." More importantly, according to Mr. Bouvard, "Binet and Fields found emotional-based advertising generates far stronger business results for these outcomes as well. Once the creative is packed with emotional content, the next step is to make sure it reaches as many hearts as possible. 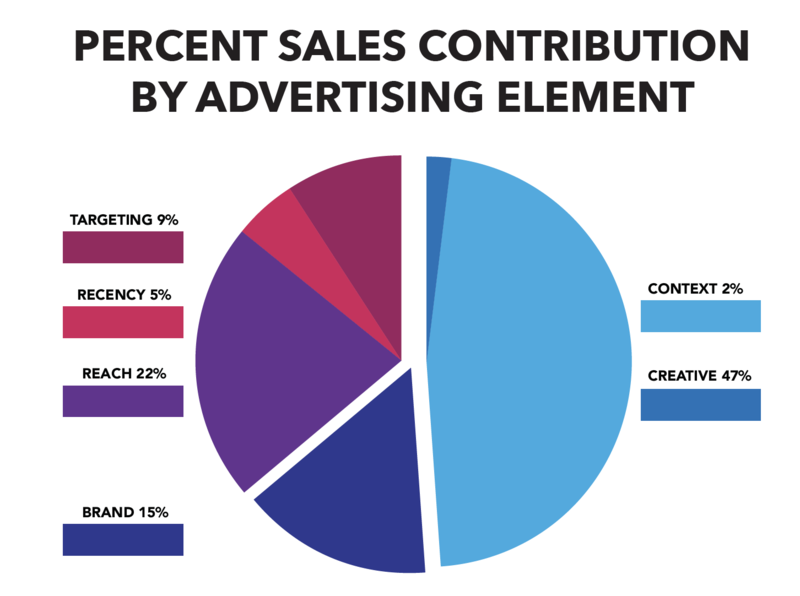 The Nielsen chart above is very clear: after creative content, reach is the second most potent element of a successful ad campaign for driving sales. More than brand. More than recency. More than content. More than context. The Fayetteville advertising medium that provides the greatest reach among local consumers is radio. Last week, 288,946 adult consumers tuned to their favorite Fayetteville radio stations. This is significantly larger reach than local TV, local newspaper, and streaming audio sites like Pandora or Spotify. Most importantly, radio reaches everyone. 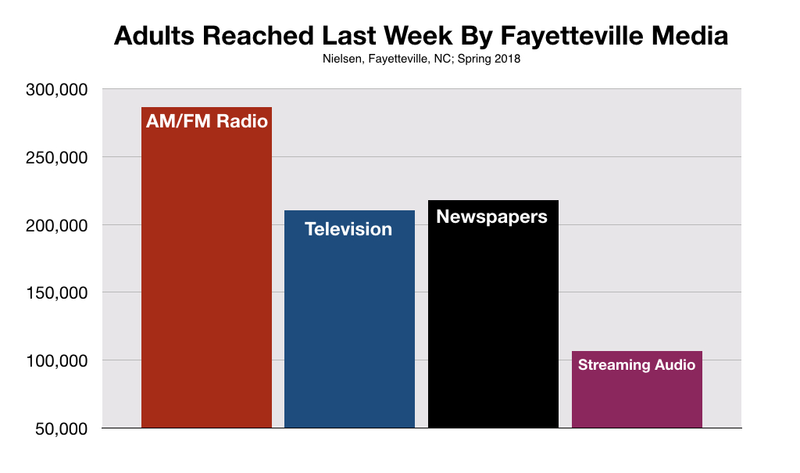 Unlike other local media, which tends to skew towards older audiences, Fayetteville radio reaches consumers of all ages. This includes members of Generation X, Y, and Z; Millennials, and Boomers. Everybody. By combining the wallop of emotional creative with the unmatched reach of radio, Fayetteville business owners can ensure the success of their advertising.